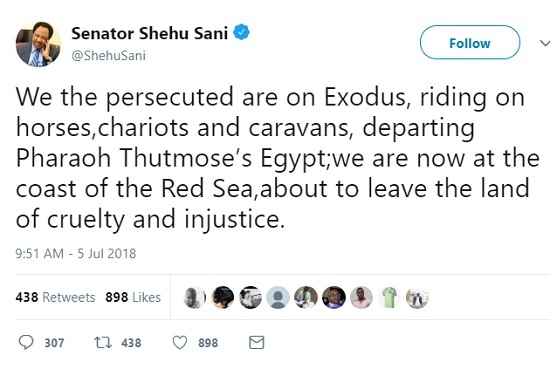 Shehu Sani Reacts To APC Break Up: "We Have Left Egypt"
Interesting political times in Nigeria. 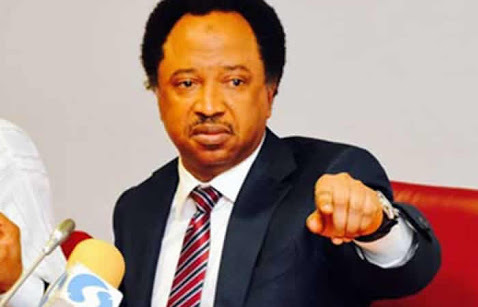 In what he tagged 'Poem for the Broom', Senator Shehu Sani hinted of his imminent departure from the ruling APC with his supporters, capturing his irreconcilable differences with the party in biblical terms. Senator Sani, a lifelong activist, has been locked in a confrontation with Governor Nasir El-Rufai over Kaduna State’s structure of the APC, as well as other policy disagreements. He has often called on President Buhari to display neutrality and fairness if he would meddle in the fight, but his recent comments have shown that he is not comfortable with the way the president has acted thus far, hence he's joining those leaving the APC.